Sometimes in life I think it is best to get straight to the point……. However, I have been fine tuning this recipe now for sometime (I had a few disasters on the pastry front) so I think that if you follow my instructions carefully you should be rewarded with a delicious dessert that will wow your friends into thinking you a natural patisserie chef in the making. My blog has been up and running for one year now (….jumps for joy…) and after looking through all the recipes I have shared with you I realise that I have tended to ignore the sweeter things in life. This is largely because I rarely eat puddings – I just don’t really have a sweet tooth and I guess part of it stems from the fact that, for the most part, I don’t think they are massively healthy. Then again the old adage of ‘everything in moderation’ is so true, so perhaps over the coming year you may find a few more sweet recipes to tempt you. So to the recipe in hand. 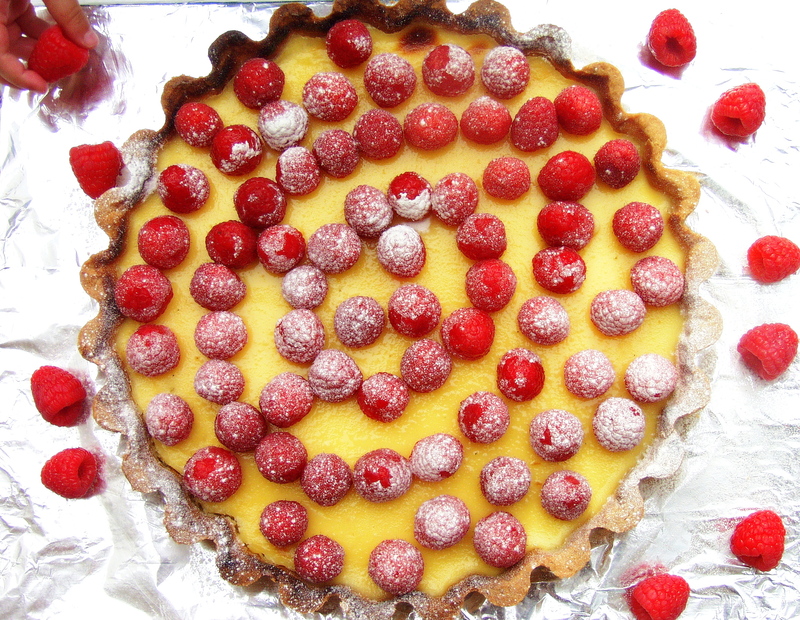 Scroll through the photos below and read the tips I have added to prepare a perfect lemon tart. Let me know if you find any other tweeks necessary that you would like to share with the wider community. I would always love to hear from you. I prepare the pastry a day ahead and leave it in the fridge. Bring it out of the fridge at least an hour before rolling so that it can acclimatise to room temperature. Thoroughly grease the loose bottom tart tin with butter. This is really important as you want the tin to come away easily from the pastry after cooking. Failing to do so will result in the sides of your tart breaking. Sprinkle flour on the surface that you are going to roll the pastry. I have found that to transfer the rolled pastry to the tin is virtually impossible as some of it breaks off. Do not be alarmed. Place as much of the pastry in the tin as you can and with the bits that have broken off simply piece together. 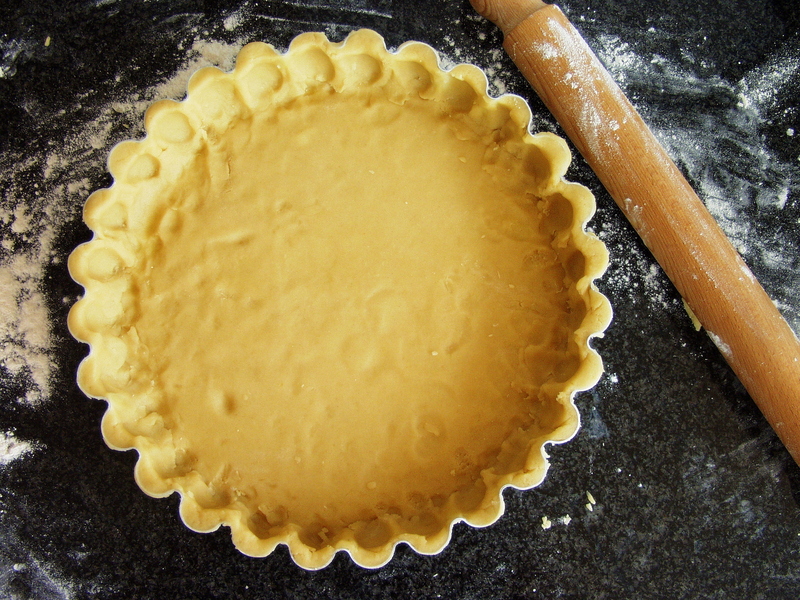 Also make sure that the pastry is sufficiently up the sides so that it is evenly spread. Remember the bottom of the flan is not going to be seen by a wider audience as you have the lemon mixture going on top of it. Make sure you have enough ceramic baking beans/and or mixed beans to cover the whole of the tart dish. You want to make sure that they are evenly spread. Do not whisk the eggs so that they are frothy. A gentle whisk, using a hand whisk is suffice. 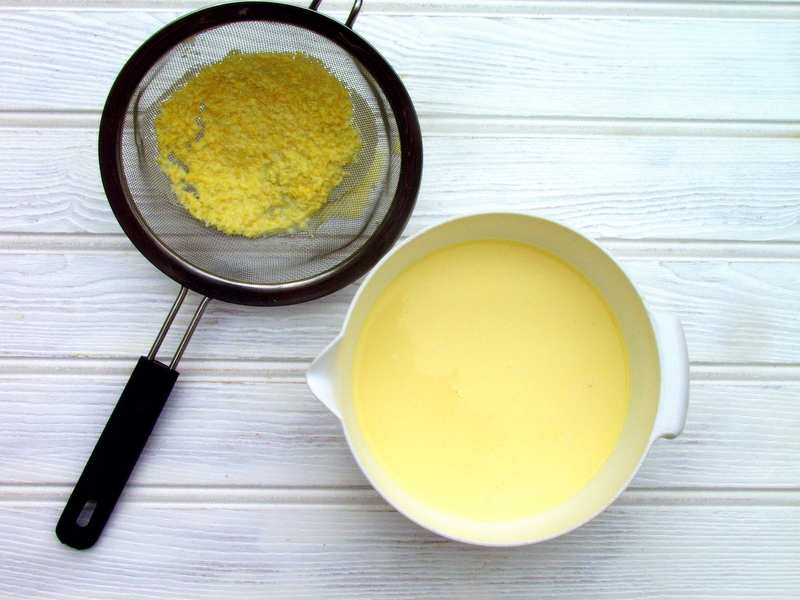 Don’t forget to strain the creamy lemon mixture before transferring into the tart base. You want the mixture to be smooth. 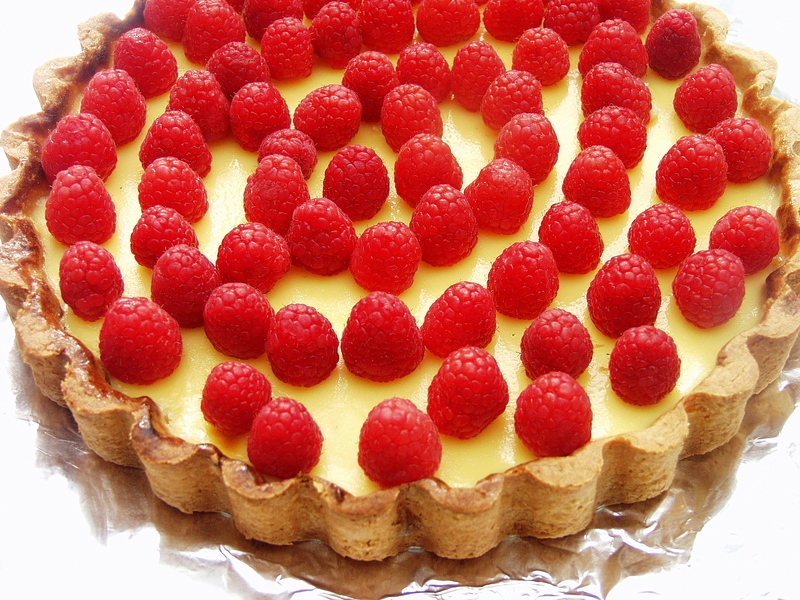 I added some raspberries to compliment the lemon tart in both appearance and taste. Strawberries would also be a great addition. A scattering of icing sugar adds the finishing touch. I noticed a little hand popping into the frame of my photo just as I had taken the shot. Clearly too irresistible not to eat! 1. If you can make the pastry a day in advance. If not make the pastry and leave to chill in the fridge for 20 minutes. Ideally using a food processor, pulse the flour, ground almonds and pinch of salt and then add the butter followed by the caster sugar. Add the add yolks and water and whizz together until the mixture forms a large clump. Work the pastry into a neat ball and wrap in clingfilm and place into the fridge, either over night or for around 20 minutes. 2. Preheat the oven to 180 degrees if using a fan oven or 200 degrees if not or gas mark 6. 3. Grease the tart dish throughly. On a cold surface sprinkle some flour and roll out the pastry and transfer, as best you can, to the tart dish. If it breaks simply press the remaining pastry pieces together to cover the gaps. Make sure the pastry has sufficiently gone into all the grooves of the dish. You will probably find that you have a little pastry left over, which you can either use to make a mini tart or use as you see fit. 4. 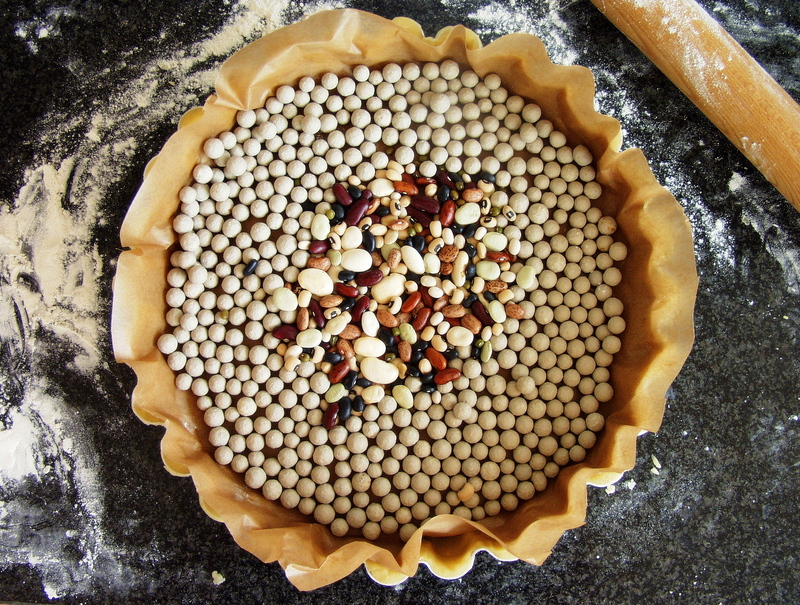 Place baking paper into the tart dish and cover with baking beans. Place in the oven for 20 minutes to bake blind. Take out of the oven and discard the baking paper and save the baking beans for another time. Brush the pastry with egg yolk and return to the oven for a maximum of 5 more minutes. Then leave to rest before putting in the lemon mixture. 5. Put the cream in a pan with the lemon zest to infuse gently. When small bubbles appear turn off the heat. 6. Break the eggs into a bowl along with the caster sugar. Using a hand whisk gently stir together – you do not want to make them frothy so do not over do it here. Stir in the lemon juice and very slowly, so as not to cook the eggs, add the warm lemon zest cream. 7. 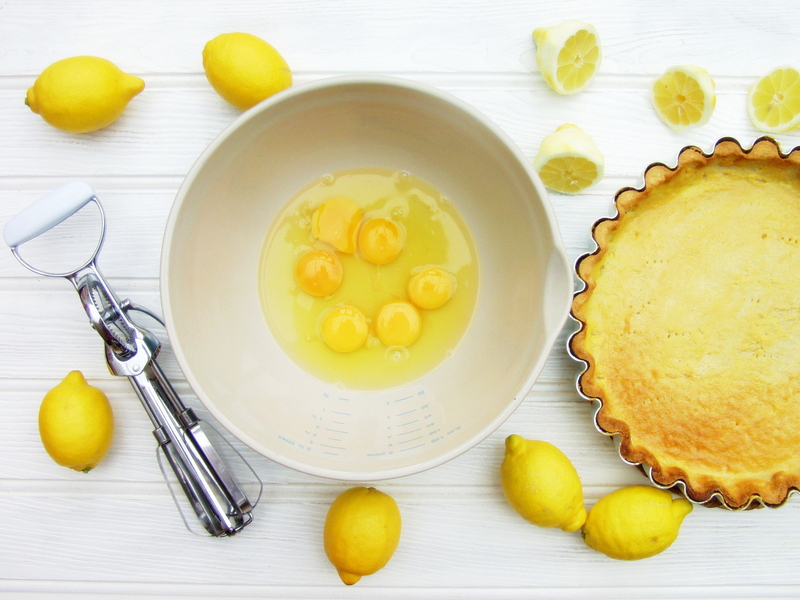 Place the tart shell onto an oven tray and then sieve the lemon mixture into bowl/jug and gently pour into the warmed pastry tart shell. Transfer to the oven on the middle shelf and cook for 18 minutes. Keep checking for the lemon mixture to set (it becomes nicely firm and does not wobble when you move the tray!!) as you may find you can bring it out of the oven a touch sooner than this. I left mine in for 20 minutes (as the Red Magazine recipe states) but found that it darkens some of the pastry too much (have a close inspection of final photo !). 8. Place on a wire rack to cool completely. Gently remove only the outer part of the tart dish. Serve at room temperature. Add icing sugar, raspberries to decorate as required. This entry was posted in Desserts and tagged butter, caster sugar, double cream, eggs, ground almonds, lemon juice, lemon tart, lemon zest, lemons, pastry. Bookmark the permalink. 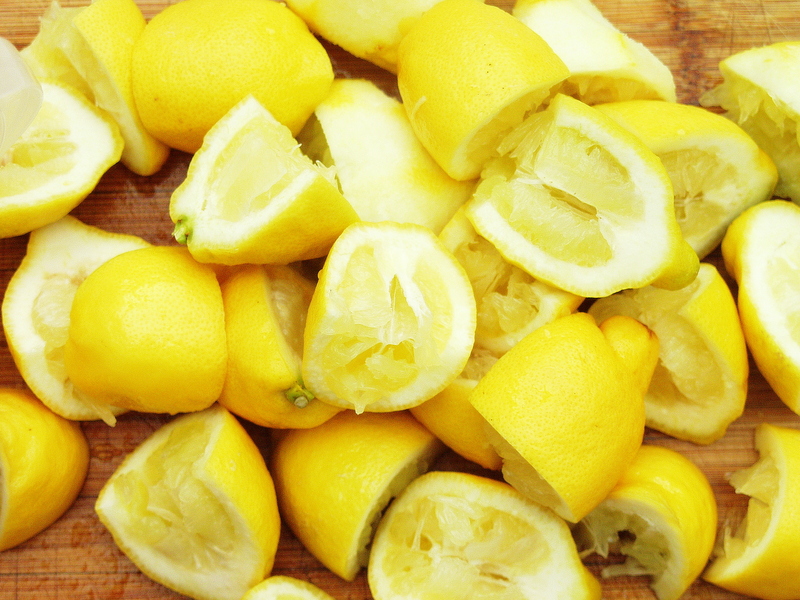 Congrats on the one year mark of your blog…the lemony pictures brightened my day.